There is no shortage of lenses to attach to your Olympus Mirrorless Camera System. I counted around 30 on our website alone and that’s just the tip of the iceberg. That number more than doubles when you add in all the micro four third lenses and the older Olympus four thirds lenses that can be used with the Olympus adapter. 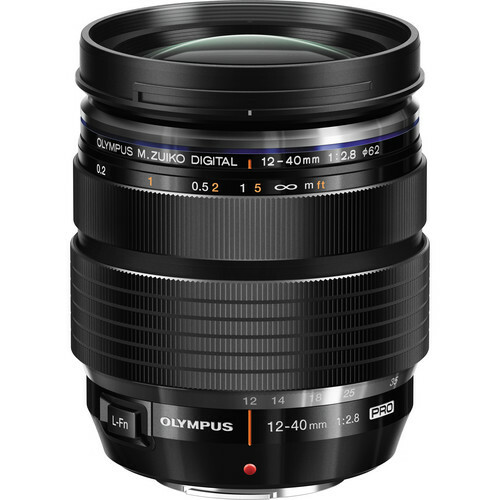 With so many lenses available for the micro four thirds mount Olympus offers an impressive range of lenses. We’re going to look at some of the lenses that you might want to focus on, but first why does it matter? The glass you put in front of your cameras image sensor may be one of the most important elements (*pun intended) of your photography that can have a huge impact on the type of shots you’re able to capture. For example, a fixed lens without a zoom may limit your framing options, a lens with a slow aperture might force you to shoot with a higher, grainier ISO setting, and a lens with no weather sealing could make you nervous if the weather starts to turn sour while shooting. 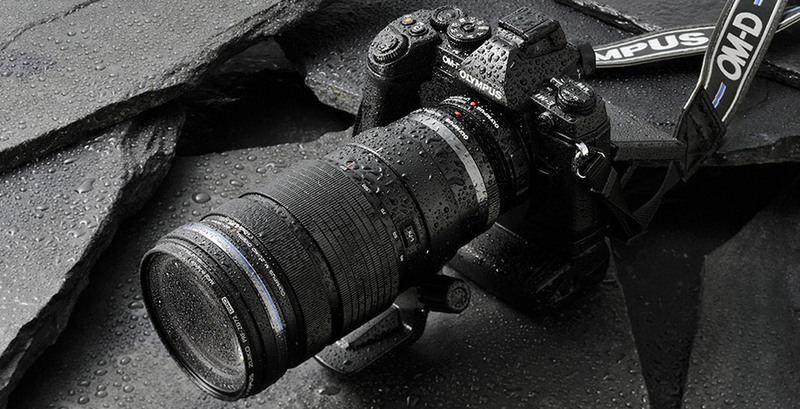 The Olympus 40-150mm telephoto lens mounted on an E-M1 Mark II experiencing a spot of wet weather. So, what is the perfect lens for your Olympus camera? The one that perfectly complements your shooting style, but at the same time pushes you to explore new creative opportunities? I would recommend considering a collection of lenses Olympus released named the M Zuiko PRO series. To be more specific, I would recommend three in particular. The 7-14mm F2.8, the 12-40mm F2.8, and the 40-150mm F2.8. This “trinity” of lenses allow shooters to cover the most commonly used focal lengths to produce a range of shots from wide-angle landscapes and astro-photography to sports, nature photography and everything in between with cutting edge sharpness, and lightning fast autofocus speed. 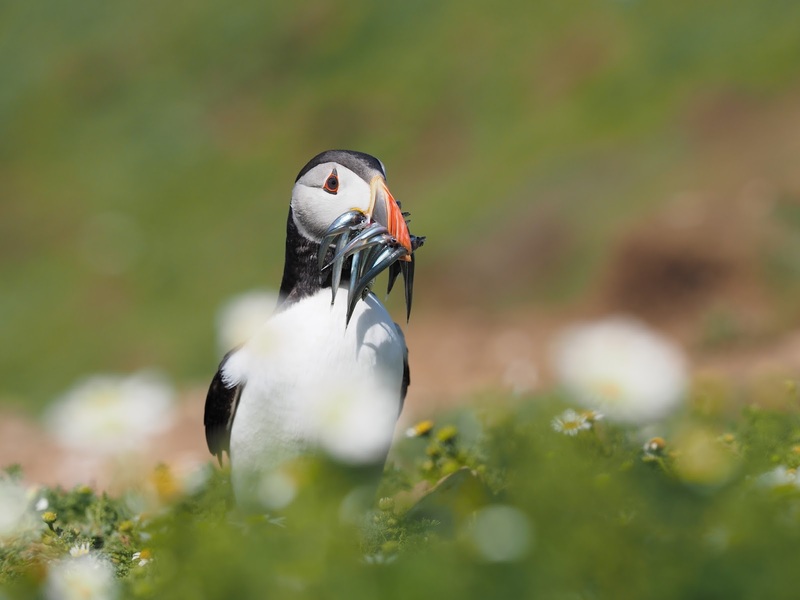 Let’s look at some of the features these lenses shared and find out why they are important. All three PRO lenses are razor sharp, using a combination of ED, EDA, Super ED, Aspherical, DSA, HD and HR elements which is a very complicated way of saying they employ the best lens optics available to produce crisp, super-detailed results. The lenses also use a ZERO (Zuiko Extra-Low Reflection Optical) Coating to reduce ghosting and flaring for clear shots even in back-lit conditions like when you’re shooting golden hour sunset portraits. The lenses also share a fast f/2.8 constant aperture. This allows you to zoom in and re-frame your shot without any loss of light for both video and stills. The fast f/2.8 aperture also means in low-light you can shoot with faster shutter speeds, without having to increase your ISO. 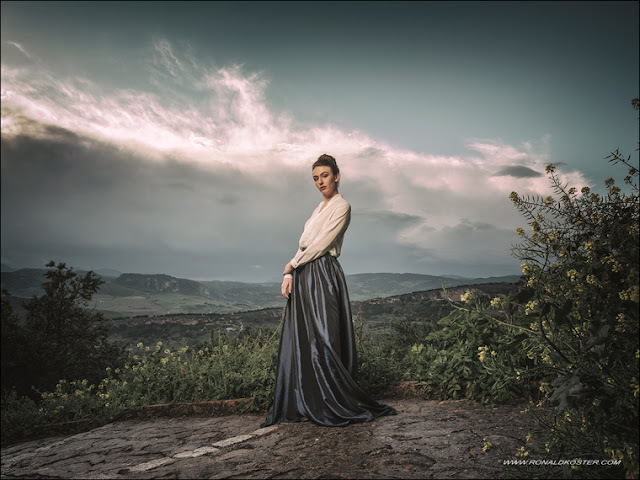 It also lets you creatively blur the background of your shot with a shallow depth of field for a creative separation of subjects within your frame. Finally, the PRO series features a reliable and robust construction that makes use of a special hermetic weather sealing design to prevent dust and water from entering the camera body. The construction of the PRO lenses also provides freeze-proof protection down to -10°C so you can keep shooting when everyone else puts their gear away. The 7-14mm f/2.8 PRO lens is a fantastic wide-angle lens for low-light shooting and event photography that allows you to capture more of the scene. The combination of a bright f/2.8 aperture with an impressive zoom range allows you to shoot in dark conditions like wedding receptions or live gigs while still providing you with the flexibility to re-frame your shots. 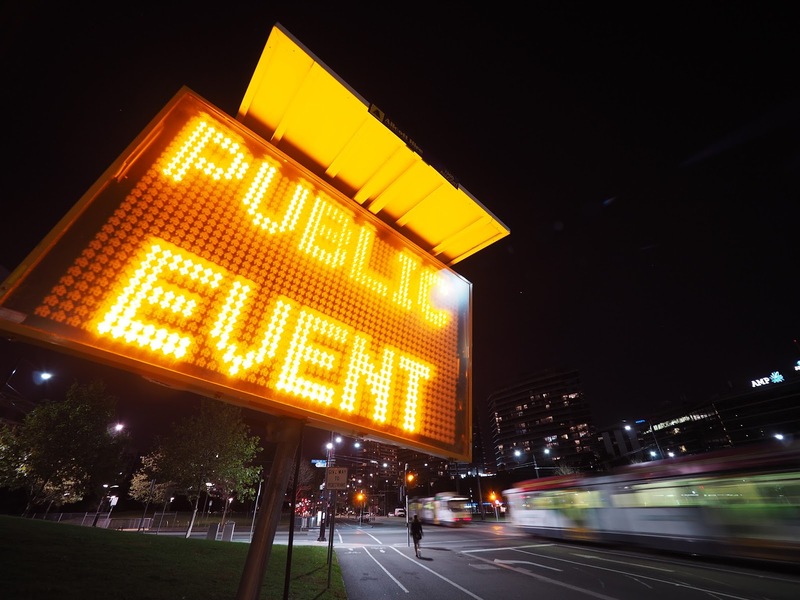 A gigantic street sign seemingly stating the obvious. The 12-40mm f/2.8 PRO lens is an absolute workhorse, with a 35mm equivalent focal range of 24-80mm it’s a new and improved version of the classic 24-70 with a little more reach at the telephoto end. The 12-40mm is a great go-to lens that will excel in almost every shooting situation making it a fantastic lens to have with you at all times. The 40-150mm f/2.8 PRO lens is comparable to a 70-200mm full frame lens except it’s 35mm equivalent is 80-300mm, offering an extra 100mm to help you fill the frame with your subjects even from far away. The lens is significantly smaller than DSLR lenses making it easier to carry and much more comfortable to use over long periods. 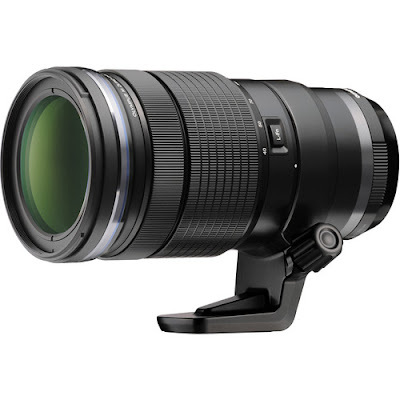 It can also be purchased as a kit with the Olympus 1.4x teleconverter which extends the range to a jaw-dropping 112-420mm. But wait! There’s more! 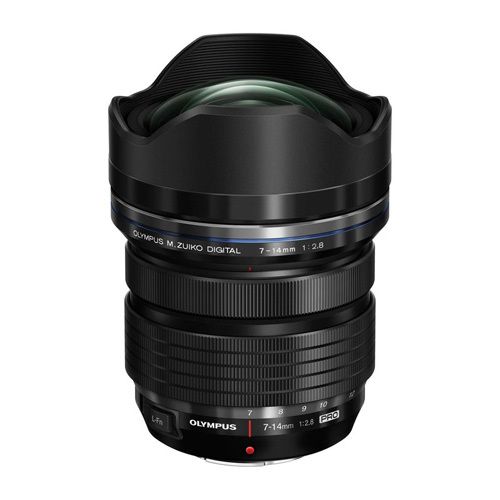 Olympus’s PRO lens line-up doesn’t stop at the three “Trinity” lenses. There are a range of PRO glass available including. The 12-100mm f/4.0 PRO Lens, 8mm PRO Fisheye f/1.8, 25mm PRO f/1.2, and the 300mm PRO f/4. 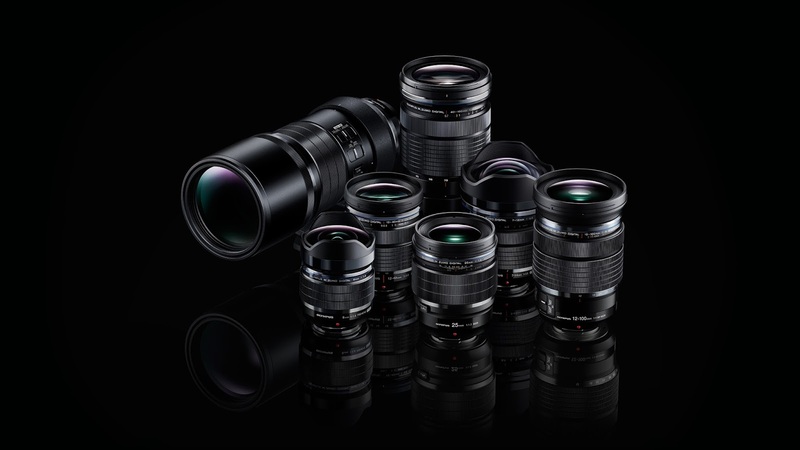 The current Olympus M Zuiko PRO Lens Line-up offers high-end performance; they also happen to look quite attractive when placed together on a shiny black surface. These lenses are designed specifically for professional and aspiring photographers who demand the absolute best performance along with the flexibility to be able to capture a massive range of photographic styles. The Olympus PRO series lenses deliver just that, with a finely tuned balance of quality, portability, and ruggedness that can help take your photography to new heights. 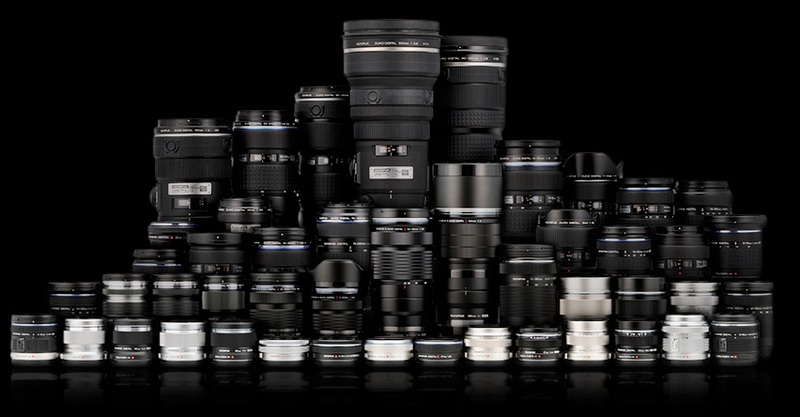 Check out all the Olympus lenses here.